Way back when, over 2 years ago, I had blogged about Cockney Kings. 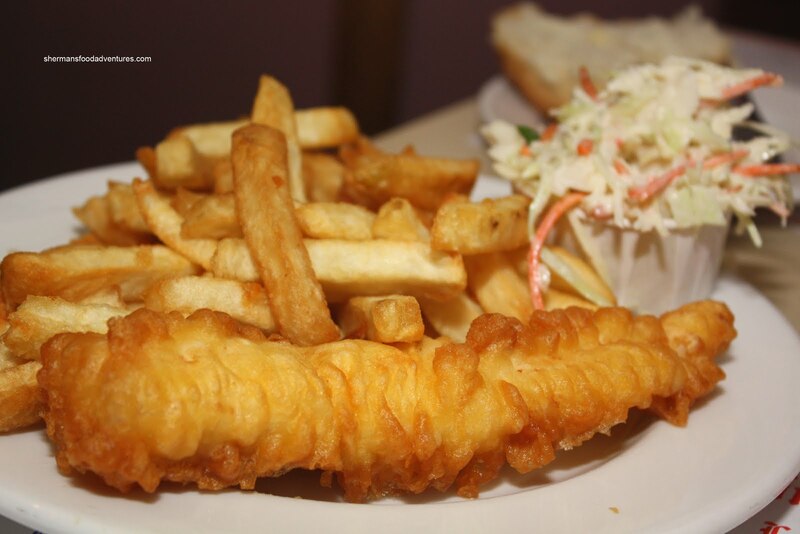 In particular, their all-you-can-eat Cod 'n Chips for $9.50 including non-stop pop. That was early on in my blogging days and to tell you the truth, the pictures have been bugging me since. You see, I started taking pictures with my Blackberry (may it rest in peace...). It gradually elevated to my Canon SD600 point and shoot up until now with the DSLR. So, during these past 2 years, I have been waiting for my chance to return. I'm not sure why it took so long since I always drive by it. Yet, it took an innocent looking coupon to seal the deal. Rather than going for the AYCE dinner again, I went for the 2 Halibut or Salmon Dinners for $18.95. Sounded good to me! Of course for variety purposes, I asked if we could have one Halibut and one Salmon. A confirmation from our server meant it was good to go. Included in the meals were chips of course, coleslaw, dinner roll and refillable drinks. Before my blogging days, I'd been to Cockney Kings quite a few times and I don't remember a bad meal. Sure, there would still be subtle variations eac h time; yet, if you have ever run a restaurant or worked in a restaurant, you will know how difficult it is to be exactly the same every time. All I look for is some resemblance of consistency and that is good enough for me. So before I could even set up my camera, the food arrived. Wow, talk about some quick frying. I started with the Wild Salmon 'n Chips first. Normally, fried salmon can get very tough and dry. I know it is a bad comparison; but the version at Red Robin is akin to eating shoe leather. So I wasn't holding much hope. To my surprise, not only was the salmon moist and tender, it was quite flavourful as well. I guess it has somethin g to do with being wild. Viv thought it had a slight fishiness to it. For me, it tasted quite good and besides, salmon is a fatty fish, there will be some flavour there. As for the batter, it may not be necessarily the thinnest out there; but it is quite light and crisp. The fries are pretty much the same as I've had before. They are not overly crisp while not soggy either. I find them slightly starchy. It goes well with the mild tartar sauce (only some hint of zing, mostly smooth). We would've benefited from some lemon wedges. 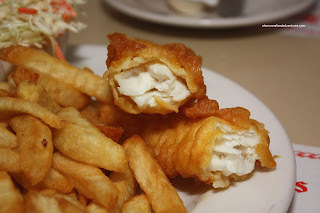 Viv and I split the pieces of fish and I got to try the Halibut 'n Chips second. Once again, pretty solid, just like I remembered. The halibut was cooked perfectly. Flaky, moist and with some firm texture, this is how halibut should be prepared. The batter on this piece was about the same with good crunch in certain spots. The good thing about both pieces was that they weren't too greasy. What Viv particularly like was the Coleslaw. It was fresh and crispy with a good amount of zing. It wasn't too heavy on the dressing either. Just for the curiosity of it all, I added a bowl of Clam Chowder. For some reason or another, I had forgotten that it's not really my cup of tea. 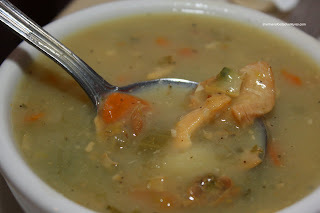 Neither creamy (Boston-style) or tomatoey (Manhattan-style), this was more like a strange pea soup than a chowder. It was actually quite thin and extremely salty. And believe me, I like salt. Furthermore, it was a seafood chowder rather than exclusively clams. It wasn't terrible. It just wasn't clam chowder. 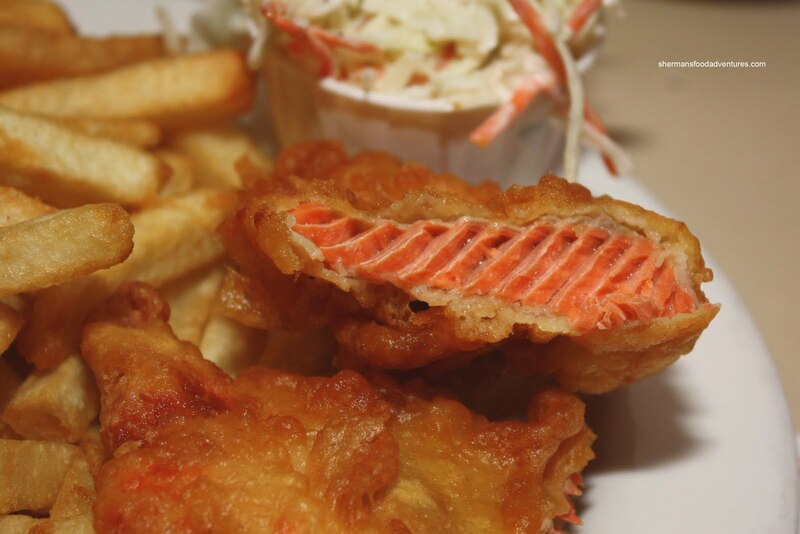 But honestly, it's the fish 'n chips that matter here. And they do it right. Another solid meal here. No surprises, honest service and a dining room in need of a makeover. That's about it. Just stay away from the chowder. Sherman - have you been to the one in New West? Any comparison? Shokutsu, I actually haven't. But Kim has. He thought it was good. However, I haven't been to the North Burnaby location so it would be an apple to orange comparison. Sorry! New West resident here, I stop in at the New West location and have the two piece haddock and chips dinner twice a week. 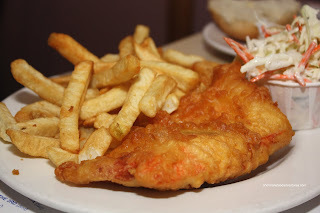 It's fish and chips done right, like you said. It's simple and perfect every time. Needless to say, I love that place.